The impetus for the creation of this blog came from one of my best friends, Regis. We met in a General Physics lab over five years ago – and while Regis continued in STEM disciplines (he is now getting his doctorate in Computational Sciences), I made the switch to economics and the social sciences. In spite of our mutual love for classical music, our shared dry sense of humor, and our quest for academic excellence, we are in some ways complete opposites. Regis is not only ethnic Rwandan, but he is also at least a foot taller than me. Right before classes let out for summer in 2012, we took the opportunity to grab a coffee together and talk. I have to admit, in the conversation, I got little frustrated with him because he kept pushing me to journal about all of the books I had read. I told him that after my year of physics, I had developed an aversion to lab book/journals of any kind, but nonetheless, I promised him that I would consider it. It was during the following week at the beach that I began to think about what he said and developed the idea for my blog. Although Regis and I haven’t seen each other in nearly two years, we call and message frequently. It was at his constant insistence that I started reading about Africa after completing Asia. I really appreciate Regis because, when I develop questions about African culture/society (men and women relationships; classes and kinship; child and parent relationships; military; economic development; etc.) through my reading, he is willing to answer them without reserve. Needless to say, Regis is in Kigali (the capital city of Rwanda) for the holiday break. I have enjoyed living Kigali vicariously through him – his impressions of returning back to his home country, as well as his reverse culture shocks. One such culture shock? The clothing. Apparently, everyone in Kigali is dressed to impress – for men, dress pants are the norm and shorts are unthinkable. Another culture shock? The amazing and sudden development of Kigali – its cleanliness, its large new buildings, etc. 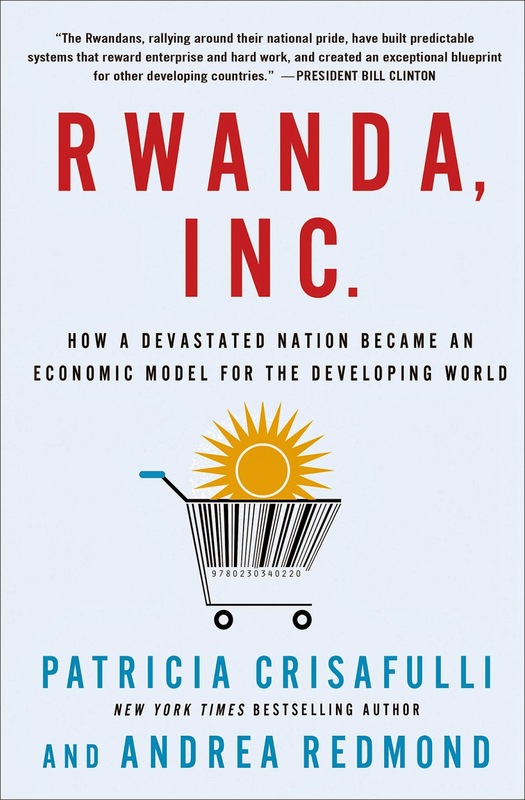 With this in mind, I will share the best book that provides an overall picture of Rwanda to-date: Rwanda Inc.: How a Devastated Nation Became an Economic Model for the Developing World by Patricia Crisaulli and Andrea Redmond. 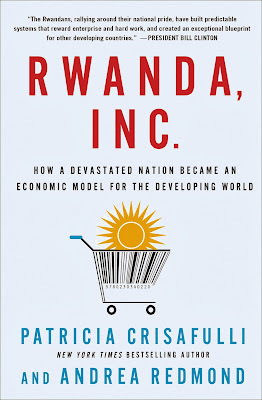 I have to admit, that even though I found some of the parts repetitive and somewhat shallow in analysis – probably because I already have a strong understanding of Rwanda - this is a perfect read for someone with a limited background of Rwanda and who wants to learn more. While it mentions the genocide, it does not focus on the genocide – a particularly important aspect, as all of the Rwandans I have met are much more focused on the future rather than remembering the past. It also discusses many of the issues facing Rwanda on its path to development. One of the most interesting aspects of the book was the issue of western aid. Earlier this year, I read Oxford-trained economist Dambisa Moyo’s book Dead Aid: Why Aid Is Not Working and How There Is a Better Way for Africa. In this book, Moyo often quotes Rwandan President Paul Kagame, who has been very clear that he wants Rwanda to not be dependent on western aid, in the same way that so many countries in Africa are. The authors explain this through the psychological effect of genocide on the Rwandan leadership: “Another big part of the genocide story is that of a country abandoned by the West.” (page 28) During the genocide of 1994 in which up to one million individuals perished, the Western countries did not come to Rwanda’s aid. The United Nations was not able to stop genocide and, in fact, President Mitterrand of France actually provided arms and support for the Hutu-controlled government. Another important result of the Rwandan genocide is certainly the humanitarian lens by which the Rwandan government continues on its path to development. The government is hoping to become a hub in the service industry in East Africa - recently even switching the language of instruction in school to English language immersion in order to quicken this process – and place a high importance on human capital. “Although Rwanda is the most densely populated country in Africa (10.7 million people in 10,000 square miles), it continues to welcome its refugees home. ‘Even though Rwanda is small geographically, it doesn’t mean we don’t need our people. The greatest resource we have is our people,’ Rucyahana said.” (page 82) Following the 1994 genocide, the social fabric of Rwanda was torn apart. 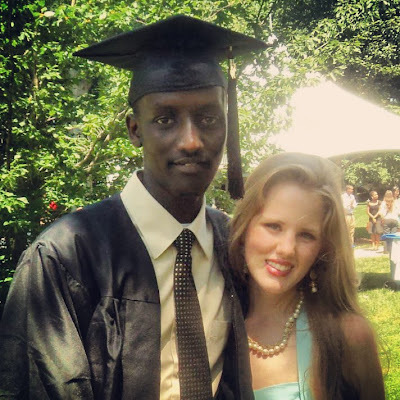 Despite this and the devastation of the country’s institutions, Rwanda immediately began trying to attract ethnic Rwandan refugees from all around the world to engage in the rebuilding process of the country.